Unless you are in the field of ecological restoration you are probably unfamiliar with the term, live stakes. But perhaps you are like me, and appreciate a good deal. Whether it is a pair of khakis for 50% off the last marked clearance price or a $5 Monday night burger deal at a local restaurant. I love saving money. This frugality (my term, my wife and kids term would be cheapskate) also extends to my yard. While when it comes to landscaping tools or plants for clients, quality is the name of the game and I am willing to pay for it. Plants for my personal use, on the other hand, have become something I have a hard time paying almost anything for. My favorite way to acquire plants these days is to grow them from seed. I already have the equipment and its an enjoyable way to start thinking about spring. 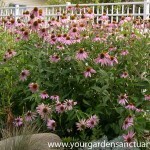 Growing perennial plants from seeds can definitely be an effective way to get a lot of plants for cheap. However, growing shrubs from seed is not something I have the patience for, although you might. If you need a lot of one plant starting them from seeds is the way to go. You may be asking is there another way I can cheaply grow shrubs while not waiting for seeds to sprout? – YEP! Live stakes can be a great way to get the most bang for our buck for your landscape. 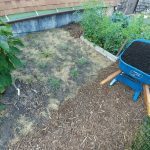 It is one of the simplest bioengineering techniques from the field of Ecological restoration that can also be applied to residential landscapes and gardens as well. Ok, so you are probably asking what’s a “Live Stake”? A cow on it’s way to the slaughterhouse? Bad joke aside, a “live stake” is a dormant stem from a woody plant which is planted into the ground. Live stakes are often used in streambank and shoreline restoration. They can also be used to stabilize erosion-prone slopes and hills. In fact, I had a teacher in an Ecological Restoration class I took who used lives stakes in his toolbox of techniques to stabilize mountainsides to prevent landslides. While they work great in these projects they can also be inexpensive and easy to install way to establish woody plants in other settings. Since you are planting a part of a plant that has no roots, it will have to regrow roots before it can grow much above ground. Patience is necessary to use live stakes for landscaping. 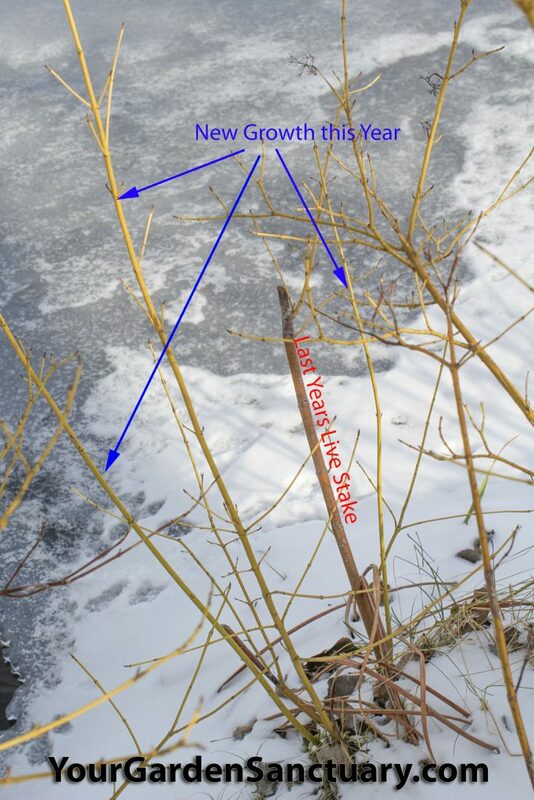 Yellow Twig Dogwood year two (January 2019) after it was planted as a live Stake in early Spring of 2017. Where can you get live stakes? You can buy live stakes from native plant nurseries that specialize in supplying ecological restoration projects. Most of these nurseries sell them in bundles of 25 or 100. You probably don’t want 25 or 100 of the same shrub and most wholesale nurseries don’t really want your small retail order. 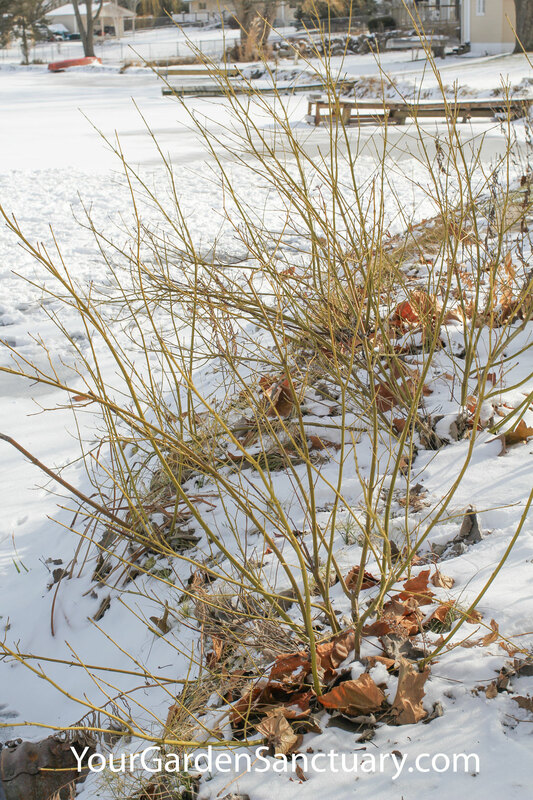 A more cost-effective way to get live stakes is to instead harvest your own from parent plants in the winter dormant season. 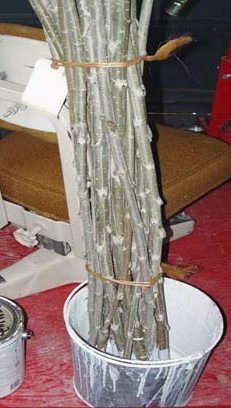 You can even use pruning debris, but you will want to use the live stakes within 24 hours of cutting them. If you are collecting multiple species, it is a good idea to mark each species from another so you don’t get confused about which is which. One way to do this and keep track of which end is up is to paint the shoot (top) end of the cuttings with different colors of latex paint. This also helps to seal the open top of the plant so it does not lose as much moisture. 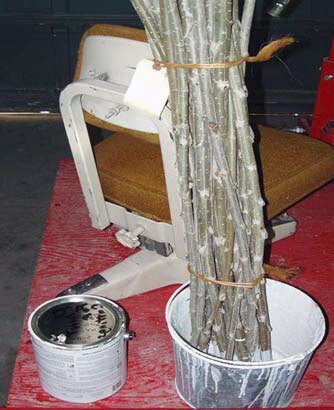 The Tops of live stakes sealed with latex paint to prevent desiccation and identify which plant it is. So how do you install a Live Stake? Simply put, you drive a pilot hole in firm soil with rebar and stick the live stake in the hole and then pack the soil in around it. If the soil is very soft, you can carefully pound the stakes directly into the ground using a rubber mallet. Stakes should be between ¾-1½ inches diameter and 2 to 4 feet long. Cut the bottom end of the stake at an angle. Remove the side shoots and leaves from the stakes. Be careful not to turn the stake upside-down. 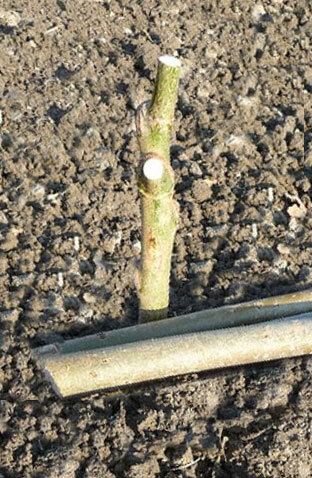 The cuttings should be inserted into the soil so that at least 2/3 of the length of the cutting is underground. On drier sites, up to 7/8 of the cutting should be inserted. Orient the buds upward. Tamp the soil down around the cuttings and water them well. Install Live Stakes during their dormancy (late fall to early spring). Do not be allow the stakes to dry out. 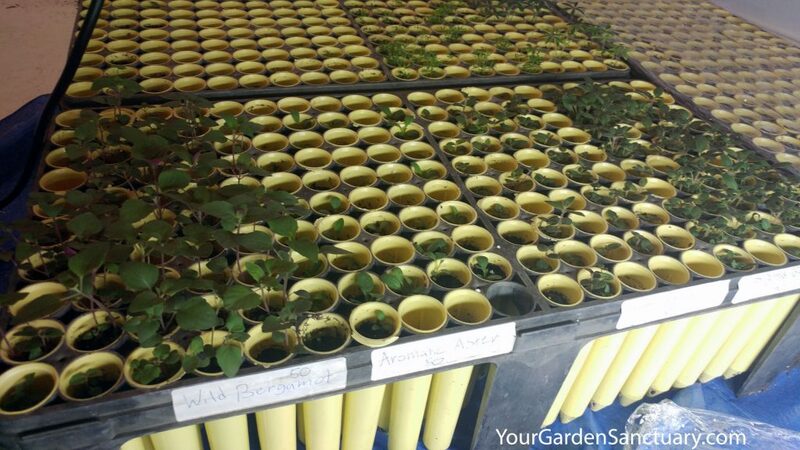 Soaking them in water for 24 hours before planting can increase their chance to survive and their growth rate. What Plants can you grow as Live Stakes? I am sorry to say most plants CANNOT be planted as live stakes. Most will not root before they dry out. Willows (Salix) do great, but I don’t recommend many willows for landscaping. In fact, I cringe whenever I see someone buying a weeping willow tree. Not only will they regret it as it swallows their whole yard, but also because they could have just cut a branch from a neighbors tree, stuck it the ground and had just as big of a tree probably in a year. 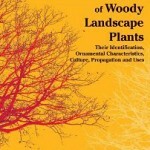 There are plants that do root from fair to good when planted as a live stake. The survival rate for most of these species will be under 100%, but a majority will survive if soil conditions, spring moisture, and planting technique are decent. Cultivated varieties of these plants should also work reasonably well. So for instance, Cornus sericea ‘Flaviramea’ which is the Yellow Twig Dogwood works well (see photo above from my yard). Purple leaf varieties of Ninebark, dwarf Buttonbush and Arrowwood Viburnum should also work just as well as these straight species. So if you want a lot of one of these plants, Live Stakes might be a way to get a lot of plants for little to no money. Using live stakes with perennial plugs can be a fantastic way to create a native planting to stabilize a shoreline, prevent a hillside from eroding or even create a mixed planting. 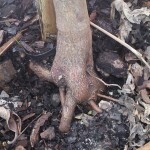 I planted the three largest of these Yellow Twig Dogwood (Cornus sericea ‘Flaviramea’) from 5 Gallon pots into the soil at the top of the slope. The other two (of three planted – one died) are closer to the water. I planted the Live stakes a year later than the container plants and they are quickly catching up in size. If you are interested in learning more techniques to help you create Your Garden Sanctuary hit the Yellow Subscribe button below. Oh my gosh Jim, this is so helpful! I’m responsible for landscaping the new grounds of my church’s expansion program. I take a lot of shrub cuttings (hydrangeas and camellias mostly) but I didn’t know I could buy large amounts of “live stakes”. My budget is small, and the county gets to decide about 1/3 of the landscaping plans and plants – we are located in a river watershed, so there are specific responsibilities and regulations that go along with that. I have about 2 years to plan and start new plants before the grounds will be ready for me, so I can buy live stakes now and grow them in pots, and *hopefully* they will be at the county-approved size when I’m ready for them. I bet the extension dept can tell me where to get local live stakes too. Thanks so much. I am not sure how well they will survive being grown in pots. Perhaps if they are grown in regular soil and keep the soil moisture high they will. Potting soil would dry out too much. Let me know if you try this and whether or not they root for you. I will be trying this with my Viburnum, thanks! Also, do you know where I can find an American Cranberry Viburnum around Crystal Lake/McHenry? Viburnum trilobum ‘J N Select’ is a cultivar that is readily available and is V. trilobum. Countryside Nursery usually has a nice selection of high-quality plants including that one. The Barn Nursery has had Redwing too. Thank you for a very helpful post! I am doing some layering to start a new cotoneaster, but I also have a red twig dogwood I was considering doing layering with – and I think a live stake will be a better solution, there. Thank you especially for noting the species for which this technique will work! I had thought of trying this with a spring cutting of forsythia. Would it work on a bank or is it too wet? Not sure if forsythia would work (It wouldn’t be my choice either) but the wetter conditions would be a plus for this technique to work on the species I listed. Let me know if it works. I am currently planting hybrid poplar trees out in my fields in damp areas using live stakes, only my stakes are 6-7 feet tall and less than 2 feet in the soil. I then pound 3 t-posts in around them close enough to prevent deer from getting their antlers in to rub the stems. I loop twine around it all to keep the stems inside the posts. The reason I do such tall stakes is to keep enough emerging leaves up above the height the deer usually reach for. This has been very successful for me in my deer haven area. I am not a fan of hybrid poplars but it does sound like good reasoning. I did not include poplars in the list, but natives like Cottonwoods also work very well as live stakes but get to be HUGE trees. I am not sure if Quaking Aspen would or not (my guess is yes) but that could be an interesting choice for the right situation.